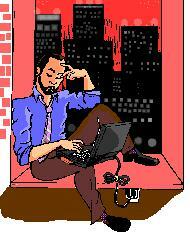 Chronicles of an IT Job Seeker: Staying Energized! Running a job search is like running a project. You’ve got project objectives (e.g. land a job you like with the pay you want in the shortest time possible); and you’ve got a budget and expected time to completion. Just like project managers have the PMBOK methodology to guide the way, job seekers have The Pierson Method (http://blacksgonegeek.blogspot.com/2011/08/chronicles-of-it-job-seeker-pierson.html) a job search methodology that’s scientifically proven to be over 20% more effective than the traditional job search methods. But there is another side to job search that’s even more important. It’s a positive mental attitude that makes all the difference in the world! How can you stay positive? How do you stay energized? It’s not easy when we see so much negativity around us. Just watch the news on TV and you’ll understand what I mean. Couple that with the constant rejection job seekers receive every day and you will begin to see how hard it is to stay positive. Check out Napoleon Hill’s Thought for a day. There always remains an opportunity to make a new start. Though it may not seem so when you first encounter a serious blow, you can never lose two of the most important assets you have. These are the power of your mind and your freedom to use it. Once you have turned them to understanding what laid you low, you can begin forming new plans. You may not have the money you once had; you may lack the allies you had cultivated. But you still have the benefit of a universe that eventually rewards honest effort, as well as gaining the experience of mistakes you will never make again. Remember, no matter where you are now, whatever you can conceive and believe, you can achieve. Protect the most important thing you have. Looking for more inspiration? Here’s the link to the BE POSITIVE web page on Blacks Gone Geek. http://www.blacksgonegeek.org/Pages/JointheBlacksGoneGeekCommunity.aspx. When I heard that 70%-80% of all job seekers find jobs through networking it made me wonder why I hadn’t landed a job yet. I’ve known for a long time that relationships make the difference between long-term unemployment and finding a job quickly. I’ve been expanding my social network for years and my contact database has grown to over 10,000 people. I thought that leveraging my network would make finding a job easy. Wrong! Networking to find a job is more about being at the right place at the right time and for the IT industry, effective networking takes on a whole new dimension. Because of the tight economy, hiring managers can afford to be “picky” so they look for specialized skill sets, relevant experience and recent experience. So the fact that you did a similar job ten years ago simply does not matter. How can you compete? Networking, Networking, Networking. It’s all about taking networking to the next level! Networking 101: Traditional networking involves attending networking meetings. When you attend meetings you get to meet people for the first time. You get their card. You give them your card and that’s where the relationship begins. This is where you plant the seeds for harvesting many months from now. This includes meeting people via a conference call too. Networking 201: The next level is to connect online. I use LinkedIn for professional networking and I’m a member of many other online communities too. By engaging in dialogue online, you get to see and to be seen which is ever so important when it comes to leveraging your professional network for job hunting. To find your dream job in this tough economy, you need a ton of people looking out for you and helping you tap into the hidden job market. Networking with folks online is essential. Networking 301: One-on-one “informational” meetings with decision makers takes networking to a whole new level. Let’s face it. The person you are trying to meet is the person who has the job you want and is willing to give it to you. This person is the “hiring manager”, but to get to the hiring manager, you’re going to have to connect with a lot of other people first. Here’s what the experts say. The average search by the average candidate requires conversations with 25 Decision Makers. The Decision Maker is your next boss, or your boss’s boss. The Unwritten Rules of Highly Effective Job Search tells you how to plan and organize the entire job search in the most effective ways possible. It includes information on making a Project Plan, creating a Core Message, and using Progress Measurements so you can tell how fast you're moving toward a good new job. Next Job Seekers Forum Meeting, 10/10/11, How to cut your job search time in half!